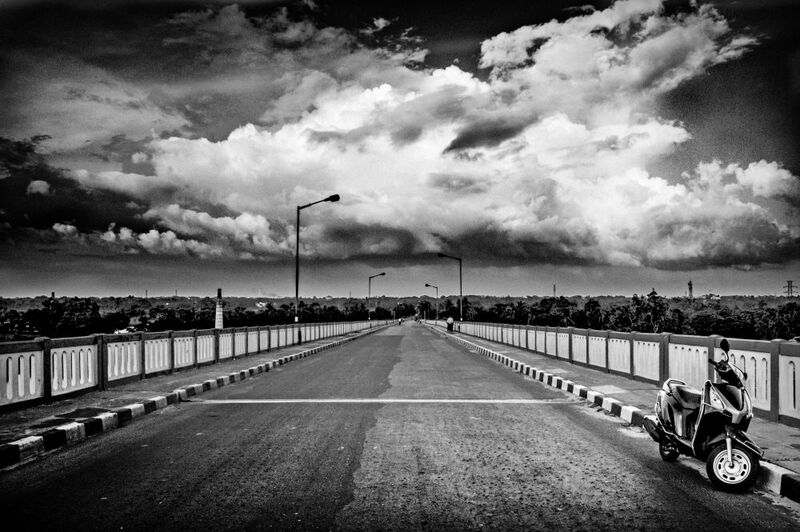 The bridge, Iswargupta Setu, that connects Bansberia in Hooghly district to Kalyani in Nadia. It has been many a times that motivated by someone or something that I have taken to writing. But every time, I pledged it to continue for a prolonged period or for my entire life time, I failed to live up to it as the feelings that motivated me, subsided. How time heals nah.!! Yes, as like you are apparently travelling in time now, reading the last few sentences, I too travel back and forth in the life I lived during my college days of engineering. One thing I realized for sure that it is not always that one has to attach emotionally to someone other to be motivated enough to continue something over a period of time. Pleasing self is quite the motivation enough at times to take the steps ahead. Of all the memories my life has offered or is still to be experienced, a part of me will always breathe for the moments spent in bliss in the land which apparently became my home for the 2 and half years of my engineering days, that’s Kalyani. Though the name change game is on to change Kalyani to Samriddhi by the present state government. It doesn’t matter whichever government at their own free will changes the name of a place for the so called benefit without considering the identity, emotion, memories people attach with the place. The place still holds it’s existence in the heart of the people with the name that with which it was first etched in history of its existence. No matter how much I move on, wherever I move on, those days I still cherish. For those that have not led a hostel or mess life and those who complain about the life without knowing enough have seriously missed a fortune. Point to be noted, by hostel life it doesn’t necessarily mean to get addicted to drugs and alcohol. Having friends worth dying for is reason enough to avert the addiction and remain one’s usual self. It was a movement that I had started in home, a revolution against my parent’s will to shift to Kalyani from Chandannagore. The first one and half years of engineering days had kicked off well only to be knocked down by failed attempts on childish crush that lasted short but left the heart battered and bruised for months. Thus was the primary motive of the decision for a change in life and lifestyle. I feel satiated on the fact that I could fight up the conventional perception and fear of my parents to find my own way and stand by it. Hope I could do it more often to not live the rest of regrets I have that I wish I didn’t. Since the time I gained senses, I had grown up in rooms separated by a 20 inch wall from the hustle of the G.T.Road. Though got accustomed with time with the busy road noise and pollution, overlooking the numerous old wooden framed iron rail protected windows of our house, even then, during sleep at night, the noises of horns from vehicles running all day just didn’t seem to fade away, as if it still felt hurting my ears than actually it did in my brain. Kalyani was just the opposite. I was stunned to find such a fine place so near by. For those who haven’t been there. Its a model town. Fairly planned, more of residential than like industrial Durgapur. Divided in several small and large square blocks, lanes running as wide as the G.T.Road that I thought was large enough all this while. There is equal width of grass as wide as the roads on its either side and small to huge or no trees, then the boundary walls of one to at max three storeyed houses having furnished lawns and garages attached to each house and then the house started. It did feel like for once that I was in some townships in the States as I had seen in the Hollywood movies. Always thought such modeled towns only existed in the far west. Can you imagine the breath of freshness that spacing could inject in a person who has been living in a place where one house literally grows and breathes heavily on the other. For the start it felt like heaven to me and my friends and the presence of winter just made it awesome. The stray dogs were a constant companion during our stay over the years. In the very beginning the roads seem to a bit confusing but then its like a complete block architecture where the map of the place can be pictured in your brain completely. Since college attendance was not an issue in the senior years, time for strolling out was more. The Kalyani bridge or the Iswargupta setu, covered the mighty Ganges and took one from Bansberia, in Hooghly district to Kalyani, in Nadia district. The bridge stretches over 1 km and standing their in the evening with friends or the love of your life as people generally do, is a common scene and just mesmerizing.To add to the senses the huge trucks make the bridge to vibrate like the feel of an earthquake is an eerie feeling to start with but one gets accustomed to. The breeze of the river soothing the senses with the setting sun as the backdrop, the smoke rising from the chimneys of the factories and brick kilns at a distance by the banks on either side of the river, boats carrying goods and men below the bridge providing a top view that one hardly has otherwise makes one linger and get late returning home. The summers are as gruesome as much as the winters are awesome. Stepping out of the house feels like one would surely get a sun stroke, absence of tall buildings and tress at places makes it painful for one to get out on the roads until necessary. 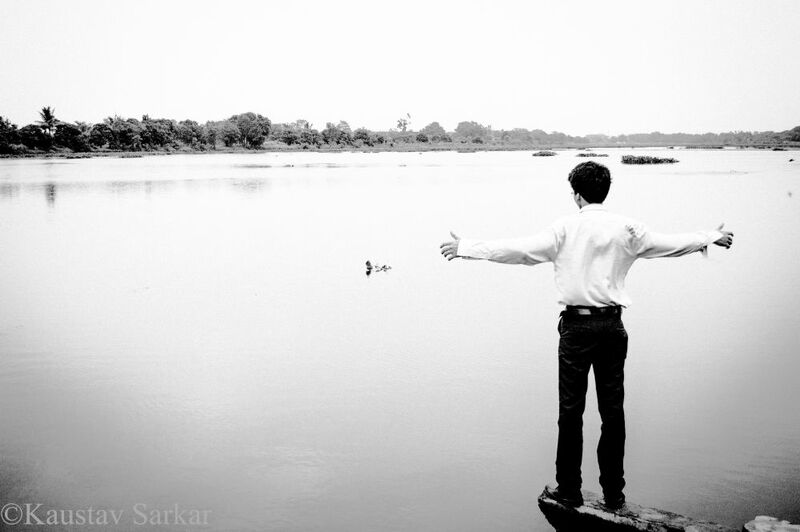 In the evenings as a medium of refreshment we friends used to go to the vast Gayeshpur lake and spend some time. We stayed in Kalynai A 11 block, that had a massive open ground in the centre of the block that provided a clear sky with galaxy of stars to gaze at, lying on the grass, as Kalyani is far more free from pollution than other cities or towns. The foggy mornings of the winter, and the wet grass from the dew overnight soaked the feet at times while walking down to Montuda’s Tea shop that was the hot spot all through the day, early morning to late night 24×7,all through the year. The winters made Kalyani feel like paradise. At times when we friends went down to B block for a dinner in the favorite and popular restaurant Dhakeswari, and then after returning from there we would hit the lanes beside the B 3 ground in Block B, which was equivalent to two football grounds. One could see the night time fog settling over the grass. As we returned back the grunting of the bike in low gear, letting the cold breeze send chill down the spine, while the fallen leaves rolled and rustled by the moving tires, gave us the perfect ambiance that the night demanded after the sumptuous dinner. At that moment it felt, life couldn’t be possibly better. There are countless memories to pen down everyone one of them in here, but just as an archive that I would like to posses and dedicate it to the city, town whatever one call Kalyani to be is what was my intention here. Today after having moved on from the 2 and a half years stay in Kalyani, it still pulls me back to spend a winter night in there with the friends who all stayed there. But time has changed, our lives have changed, may be I am old fashioned that I hold on to memories, memories that still whisper in my ears, the life of simplicity that once existed till it diluted in the mundane routines of job life.